Manfeild Raceway is located in Feilding, New Zealand. 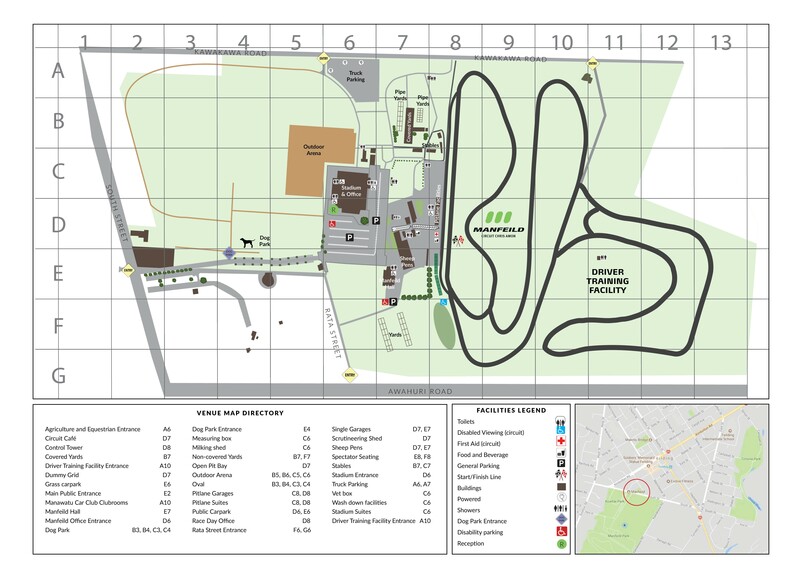 The renaming of the 3km international race circuit to Circuit Chris Amon, after the kiwi racing legend Chris Amon took place in November 2016. The banked corners are a unique feature for a NZ motor-racing circuit and a particular reflection of Amon’s input. © 2014 California Superbike School. All rights reserved.